Shows off your flowers to perfection! 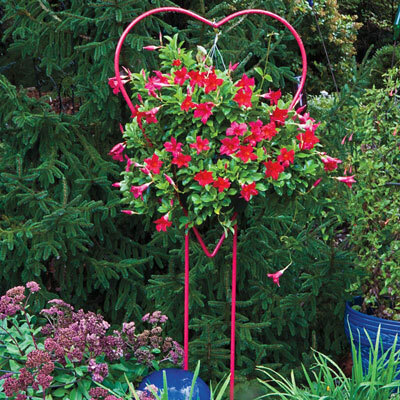 An absolutely gorgeous way to display that special hanging basket! Made of 1/2" steel pipe with a high fired, bright cherry red powder coat (the most durable finish for metal), it is both attractive and sturdy to give you years of pleasure. The 2-piece trellis is 65" high, insert 10" in the ground for secure anchoring.